You are here: Home / Deviled Egg Pageant Participants! Thank you for participating in the 7th Annual Baltimore Deviled Egg Pageant! Please don’t forget to grab your ticket by clicking the button on the right! We are expecting this event to be hoppin’ this year; we want to make sure everyone gets in (and enough eggs) to have a great time. Please bring a minimum of 20 servings (egg halves from at least 10 full eggs) for judging and tasting. Your eggs will be enjoyed by other entrants and spectators, who will vote in an Audience Choice prize. We encourage you to make more than 20 servings if you are able — an entry of 40 servings is encouraged, if possible! The more eggs you make, the more people will be able to try them! 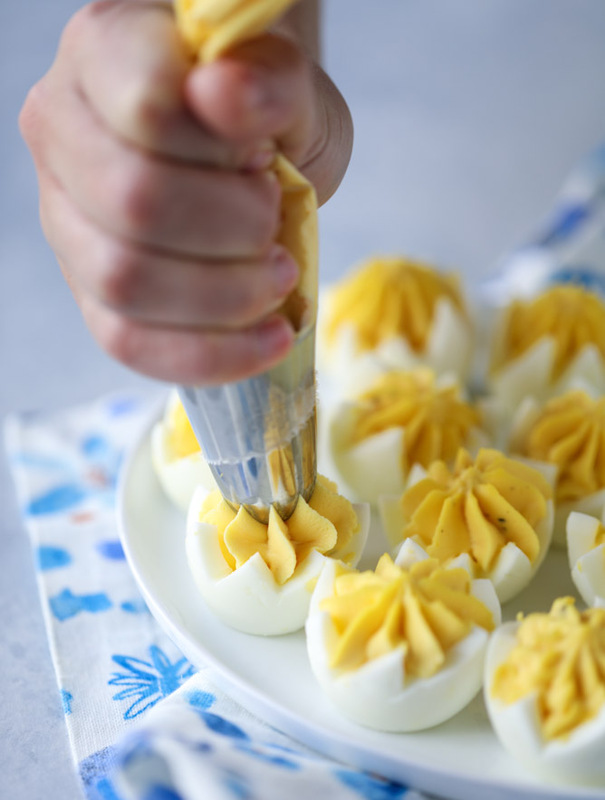 Also feel free to get creative — trompe-l’œil and other deviled-egg inspired dishes may be submitted for entry. You will be responsible for dealing with any leftovers at the end of the event. Any eggs that arrive after 2:15pm will not be considered for official judging! Up to three of your eggs will be reserved for evaluation by our official judges. They will be evaluated on taste and presentation. There will also be several honorable mentions decided in categories of the judges’ discretion. One winner will be crowned as the Best Egg in Show! Best of luck, and may the best egg win!